Although of remote origin and no longer in possession of any great estates, the Clan Akins represents a significant portion of what has grown into a worldwide Scottish community. 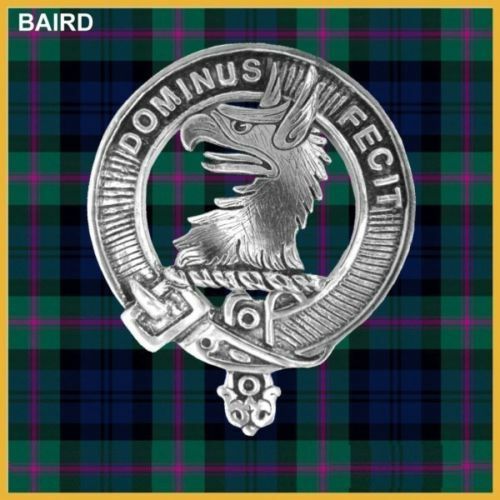 Whether in Great Britain, Northern Ireland, the United States, Canada, Australia, or New Zealand, wherever the Scots have settled, there can be found descendants of our ancient Scottish Clan. Rooted among the common folk, heirs of the early Picts and Scots who first inhabited Scotland during the time of the Roman Empire, of the Nordic invaders who came there in the Middle Ages, the earliest origins of the Clan Akins belong to the era of the Viking rulers who controlled the isles off Scotland’s coast. from Shetland to the Isle of Man. First occurring as a place-name, Akin is found in the west coast of Scotland on the Hebridean Isle of Skye. There in the 13th century, the Viking leader King Hakon IV of Norway swept with his invading army in a fleet of longboats on his way to the final defeat of the Norsemen at the hands of Alexander III, King of Scots, at the battle of Largs in 1263 AD.To commemorate his passage through this region, the narrow strait between the Isle of Skye and the Scottish mainland was afterwards known as Kyle Akin, from the Gaelic Caol Acain meaning “the Strait of Hakon” in the native Celtic language of the Scottish people. This area is home to the Skye village of Kyleakin, named for the strait on which it is located. Begun as a planned community in 1811, the area is also the site of Dun Akin castle, an 11th century fortress, now in ruins, long held by the Mac Kinnon Clan through the marriage of their ancestral chief, Findanus, to a Norse princess known as “Saucy Mary,” daughter of King Hakon I of Norway. As a surname, the first recorded appearance of its use occurs in the year 1405 in the court records of a Scottish sea merchant named “John of Akyne” who sought restitution for having been kidnapped by Laurence Tuttebury of Hull, England, who pirated his ship and goods. Other instances of its use occur in the early records of Scotland where the surname is seen to have undergone a variety of transformations in spelling, accounting for the many variant forms of the name still seen today. Among these early records we find mention of William Ackin, who was a witness in the parish of Brechin in the year 1476. John Eckin was a tenant under the Bishop of Aberdeen in 1511. John Ackyne served as bailie of Stirling in 1520. Robert Aykkyne was admitted to the burgess of Aberdeen in 1529. Bessie Aiken of Leith was found guilty of Witchcraft in 1597, narrowly escaping execution. David Akin of Aberdeen was an early passenger to America, settling in Newport, Rhode Island with his wife and family before 1664. A John Aiken was among those who fought under the banner of the Covenant at the Battle of Bothwell Bridge in 1679. Alexander Aiken of Bo’ness, West Lothian, was among the Scots colonists who took part in the ill-fated Darien expedition in 1699. In 1609 Ireland’s northern province of Ulster was opened up for colonization as part of an enterprising scheme by two opportunistic businessmen from Ayrshire, Scotland, by the names of Montgomery and Hamilton. They successfully petitioned King James VI & I for the release of an imprisoned Ulster chieftain, Con O’Neill, in exchange for thousands of acres of land in northern Ireland. These were cleared of the former landlord’s native tenants in order to make way for settlement by Protestant colonists from Scotland. Members of the Clan Akins were among the thousands of Scots who settled in that troubled region during that period. With the revolt against the Stuart King, Charles I, during the English civil war, much of the historical information of the Clan Akins was lost when Oliver Cromwell’s ships carrying records of all the clans as spoils of war sank off the coast of Berwick on Tweed. After Charles II was restored to the throne, he instituted a public register of all the clans between 1672 and 1676. However the then chief of the Clan Akins having emigrated to Ulster as an exiled supporter of Charles I and later having settled in the American colony of Maryland where he died in 1669, he failed to re-establish his right to the Name and Arms of Akins and as a result the chiefship fell into a period of dormancy lasting for more than three hundred years. The Clan name under its various spellings continued to be prevalent in Scotland, being among the 100 most frequently encountered surnames in 19th century records; ranking 90th in order of occurance, with a per capita ratio of 20 individuals per 10,000 bearing the surname, mostly in Lanarkshire and the surrounding counties, totaling an estomated 5,592 Scots bearing the name in one of its many forms. Variations of the name were said to have been common in the parish of Ballantrae, as well as in the counties of Aberdeen, Fife, Lanark, Perth, Angus, Renfrew, Ayr, Dumbarton, Stirling and the Lothians. When the British government began to oppress the Scots colonists who had settled in Northern Ireland with heavy taxes and religious persecution, many of them left fleeing to North America as a safe haven where they might start new lives for themselves. It was in this way that many members of the Clan Akins came to America. Between 1717 and 1776, some 250,000 Ulster Scots left Northern Ireland mainly for the United States. In the year 1729 more than 6,000 arrived at the port of Philadelphia alone. 100,000 more came to America in the two decades following the Revolutionary War. Thus with a total of some 11 million citizens of Scottish and Ulster Scots descent, the United States can claim to have the largest portion of the 28 million Scots worldwide, over twice as many as in Scotland itself, which has a total population of only five and a half million; and it is in the United States that the Clan Akins is its strongest. According to recently gathered statistics from the Social Security Administration, the total number of individuals bearing the Clan name in its three most common forms accounts forsome 53,650 persons. The spelling of Akins being the most usual, with a count of 23,586 individuals, followed by Aiken, with 17,924 persons, and Akin with 12,140 people bearing that form of the name.